Satisfy Customers, both in relation to the products supplied and services provided by the company such as delivery, service and technical assistance. 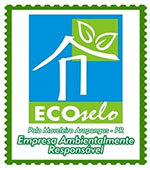 Preservation of the Environment through responsible attitudes and sustainability with the use of 100% reforested raw material, which guarantee to consumers and society, as a whole, the preservation of the environment, due to the treatment of waste generated by the company and responsibility in the use of natural resources as well. 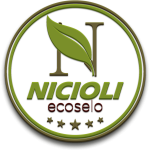 On 10/29/2014, Nicioli had the privilege of receiving the “ECOSELO” Environmental Responsibility Certificate, promoted by SIMA and NGO CETEC, when it was classified in the GOLD Category for the period 2014/2015, which is the maximum level of environmental compliance. 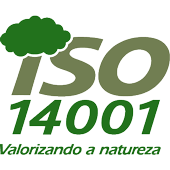 This achievement is a reflection of the top management’s awareness, reflected by ISO 14001 certification that the company has maintained since 2006. The participating companies were evaluated based on the following criteria: Documentation and Licensing, Waste Management, Wastewater, Atmospheric Emission, Environmental Noise, Occupational Health and Safety / Emergency Preparedness, Flammable, and Natural Resources. Nicioli is convinced that the pursuit of excellence in its business, coupled with the respect for the Environment and society in which it subsists, and the implementation of these values increasingly required in the business environment, contribute greatly to sustainable development. Continuing its ongoing concern for the environment, NICIOLI maintains the proper disposal management of the waste generated in its processes. In May/2014, the company treated hazardous waste (lamps and other class 1 waste). The companies that carry out Nicioli waste treatment are strictly approved, and licensed by the environmental agency. In March/2014, NICIOLI underwent another external audit of supervision of its Integrated Management System carried out by the Certification Body Tecpar. 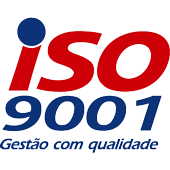 In this verification, the conformity of the processes with ISO 9001: 2008 and ISO 14001: 2004 standards was assessed. It was verified that the Integrated Management System is maintained and implemented effectively, and that all Employees and Directors are committed to maintaining the system.